Dr Animesh Damani obtained his medical degree from Maulana Azad Medical College, University of Delhi. He then completed his Post Graduate training in General Surgery from Lady Hardinge Medical College, University of Delhi. Subsequently, he worked as a Senior Resident in the Department of Plastic Surgery, Lok Nayak Hospital, New Delhi. He went on to obtain his M.Ch. degree in Plastic and Reconstructive Surgery from the esteemed Banaras Hindu University, Varanasi. Thereafter, he was an observer in the Tata Memorial Hospital, Mumbai under the guidance of Dr. Prabha Yadav. He then joined the Nizam's Institute of Medical Sciences(NIMS), Hyderabad, where he was privileged to work with stalwarts like Dr. Mukunda Reddy, Dr. Srikanth and Dr. Ram Babu. 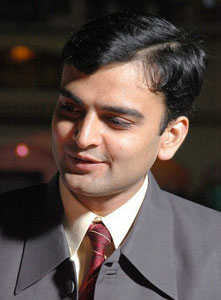 He left NIMS to join Bombay Hospital, Indore, where he is working as a Consultant Plastic Surgery. His present medical practice covers General Plastic Surgery, Cancer Reconstruction and Cosmetic Surgery. He has a special interest in Microvascular Surgery, Cleft Surgeries and Rhumoplasty. When not busy with work, he likes to spend his time at the movies or listening to music.